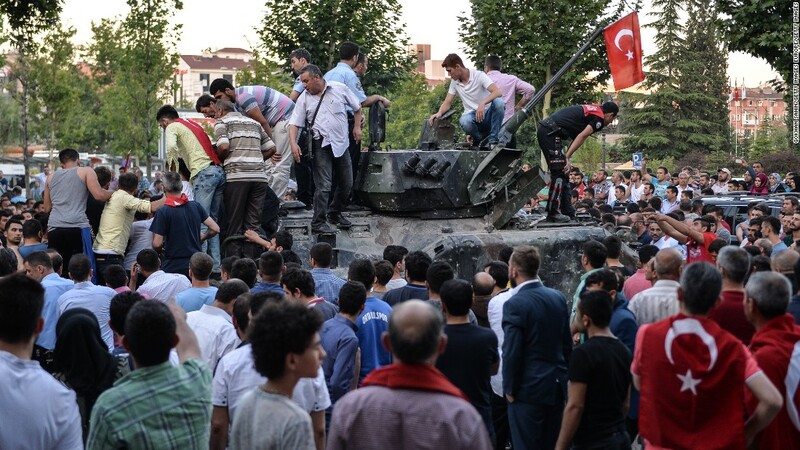 After Turkey military coup, Malaysia's turn? An argument broke out over teh tarik one night at Wangsa Maju's NZ mamak shop. A friendly one between old chums. It started out when one of the attendee passed a remark that if a military coup were to happen in Malaysia, one will not find a situation of people coming out to defend Dato' Najib as happened in Turkey. The discussion eventually developed into a debate with the preposition: After the Turkey military coup, it will be Malaysia's turn for a military coup. An electronic engineer, mathametics professor, and a building contractor on the affirmative (or pencadang as known in school) side. A retired banker, on-vacation diplomat and architect on the negative (or pembangkang). Losing side pay for the bill. Except that the debate was already started before a judge could be selected. The past three mornings, we have been glued to CNN to follow the pre-election Democratic National Convention in Philadelphia. Thanks to satellite TV and Internet we can today follow LIVE an event we followed on American TV in America 35 years ago. The Democrat had always appeal to us over the Republican. 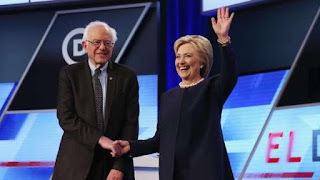 If we did continue grad school in Boston and work in the States, we could end up taking up US citizenship like some Malaysian friends are doing now and politically be Democrat. The sceptics usually say it makes no difference as to who is the President because it is the Israeli and big business lobbyist that determine policies. The election does not matter to us. The election this fall (or autumn as the Brit would call it) could elect the first woman President. After 240 years of independence in 1776, there is that chance for another glass ceiling for woman broken at the highest office in the most powerful nation in the world. Assuming the US Department of Justice got their facts and evidence together, though it is still no guarantee to be true judging by past KARI record, part of the alleged laundered money may have originated from few bond issues. The 1MDB bond offers was made out and subscribed. 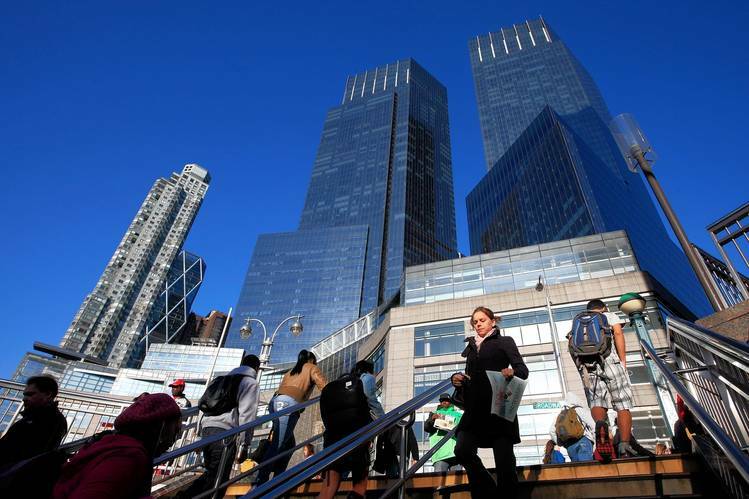 The money went into an account abroad and allegedly went all over the world, including allegedly laundered into assets purchased by the four; namely Taek Jho Loh, Riza Aziz, Khadem Al Qudaisi and Mohamed Al Husseiny. That is what was made to be understood by DOJ's document. Surely it would not have triggered Bank Negara Malaysia (BNM). The money was raised off-shore and bulk of it did not return back to Malaysia. By right, Securities Commission should be involved since a Malaysian government company based in Kuala Lumpur was the issuer of the bond. Usually, SC would be vetting and approving the prospectus before it is launched and marketed to investors. SC had a role to play to ensure the condition of the bond issue, especially in aspect of the purpose, utilisation of fund, procedures, etc. are met. Judging from the feedback of commentators in this blog and social media, it is undeniable that "Malaysian Official 1" is Dato Najib. The debate is no more about whether he is MO1. It should be more whether he had done something wrong or not. If he did, then he has to go and face the music. That has to be done by the process of law because Najib is not named to have his asset forfeited. It is only the assets of Jho Loh, Riza Aziz, Khadem Al Qudaisi and Mohamed Al Hussainy are mentioned by the complainant. The filing by US Attorney General on behalf of the Department of Justice (DOJ) to the court is based on complains made by a certain party. If the certain party has the "muscle" to lobby and get heard, DOJ will do so. The much discussed possible complainants are Dato Khairuddin Abu Hassan and maybe Clare Rewcastle Brown of Sarawak Report. Both are politically interested parties to topple Najib on behalf of Tun Dr Mahathir. It must have been a relief for some. After months of posting quotes, which was indicative of a frustrating wait and stuck to endless recycling of issues that is not attracting attention, the new development must be god-send. Has truth arrived and the end of months turning year of regurgitating rhetorics and copy and paste? WSJ or SR will never attract the attention. Neither did the term Kleptocrasy Asset Recovery Initiative. It sounded like KARI. Something closely associated with Geng Loceng. 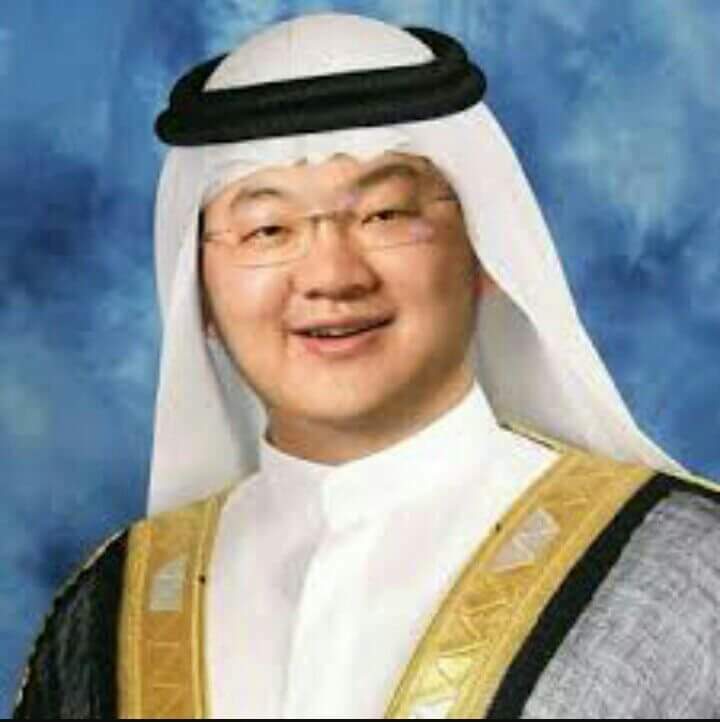 When a friend rang to inform that Jho Loh and his Arab associates will be rounded up by FBI, that was an attention grabber. 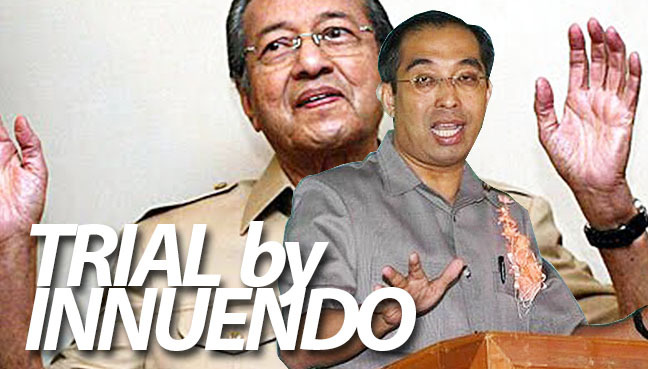 For few years, the suspicion had always been at Jho Loh and arrogant Shahrul. Arrogance is a convenient act to cover-up guilt and facade to push away nosy suspicious minds. Shahrul created suspicion on 1MDB in the engagement he did years ago. Only after a while, it was scaled down to only him and that fat chai. Riza is something new. Maybe FBI finally managed to connect the dots. Must say this development is a "Alhamdulillah". 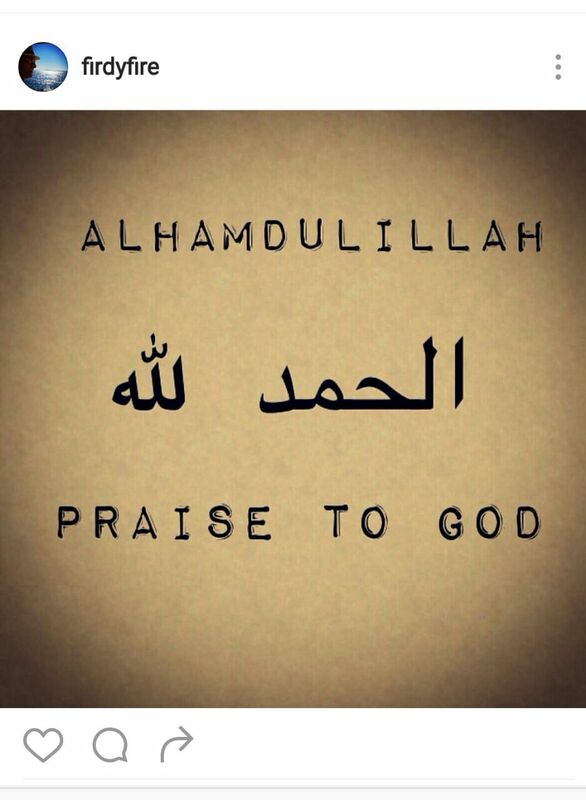 As any Muslim should, be it good or bad times, we should always say All Praises to Allah. The WSJ report published 4 hours ago (as at 7:30 AM Malaysian time) claimed "Malaysia Official 1", which was referred to 32 times in the filing by the Prosecutor from the Justice Department to the US court last night, to be Prime Minister, Dato Najib. Mr. Najib isn’t named in the filings, which were made public Wednesday, and he isn’t directly accused by U.S. prosecutors of any wrongdoing. But there are 32 references in the complaint to “Malaysian Official 1,” who allegedly received hundreds of millions of dollars in funds siphoned from 1Malaysia Development Bhd. A person with direct knowledge of the investigation said “Malaysian Official 1” is Mr. Najib. Descriptions of the official in the filings include information about Mr. Najib’s position at 1MDB along with other identifying details. However, we are not taking their sort of reporting as confirmed yet. In fact, an earlier WSJ newsbreaker used convenient spinning phrases like "unknown what assets will be seized, "assets tied to 1MDB (but not specifically 1mdb's assets)", "according to people familiar with the matter" and "The people say the investigation is still continuing". This blog's educated guess, which was stated in an April 2015 posting, remain on Taek Jho Loh and first CEO, Dato Shahrol Hilmi [see postings for April 2015 here and April 2016 here]. Our Whass App group has some 500 outstanding message to read and it will take sometime, but in one group of quite "knowledgeable and informative" members, one suspicion of the suspect is 1MDB's former Chief Investment Officer, Nik Faisal. 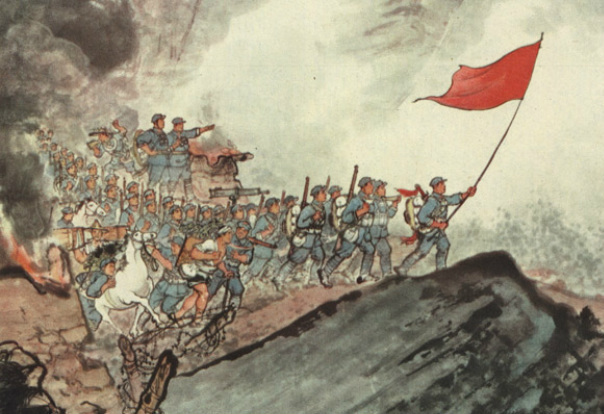 In 1912, China overthrew the last emperor of the Qing Dynasty. The anti-monarchist and nationalist revolution led by Dr Sun Yat Sen ended the warlord era. Dr Sun's revolution received funding from the Soviet Union, which at the same time funded both the Kuomintang (KMT) and Communist Party of China (CPC). A lesson to be learned on having foreigners involved in any internal disputes. That eventually led to a split in the revolutionary rank and civil war broke out between KMT and CPC. Successor to Dr Sun, General Chiang Kai Shek led the KMT and Mao Tse Tong for CPC. The war was not only about power and personality but also ideological. Between 1927 to 1950, there was a halt in 1932-333 and the two warring faction came together to fight against the Japanese invasion in late 1937. Although the battle cease by 1950 and Communist technically won, it never officially ended. It only resulted with the existence of two China; mainland Peoples' Republic of China and Taiwan's Republic of China. If DAP's current internal strife or Civil War prolongs, it could possibly emulate a similar outcome. Before pursuing the subject of this posting. 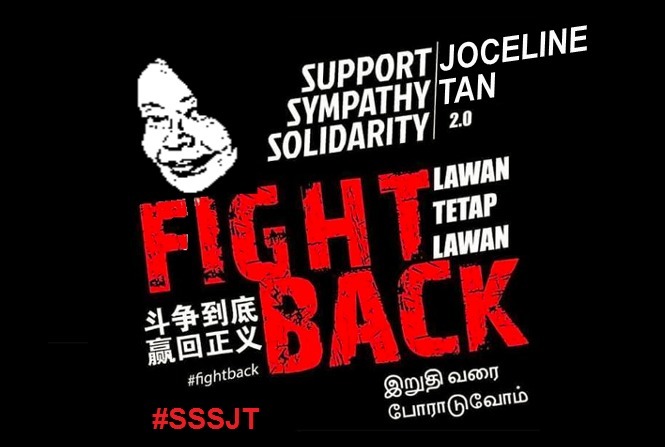 we like to express support for Joceline Tan as expressed by bloggers such as Bujai, Helen Ang, etc. Yes Joce, Lawan Tetap Lawan. Though the basis of Lim Guan Eng's lawsuit is wrong allegation, he could have just denied and put up a rebuttal. His intention is to block The Star from writing anything negative about him. 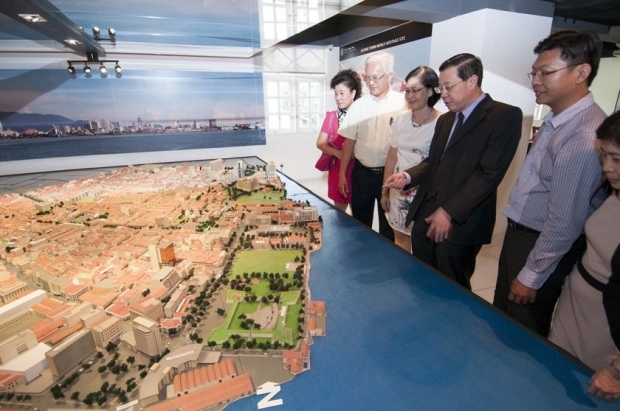 Stories about a Penang-born fund manager based in Hong Kong and his links with Penang politicians have also begun to circulate in a way that seem to point to something big in the making. Heard of it for a year already and hinted in this blog. It is just an example of how issues raised against government can politically be turned around. It is better to be factual, righteous and if possible, pragmatic. Same in the case with the new political party announced by Tun M.
When UMNO Penang raised issue on the Penang tunnel undertaken by Zenith Consortium for the last general election, we did not find it interesting enough. If the arrangement involves no money from the state government and it is purely a private sector initiative, what is there to it. Even when there was issue with the higher consultancy fee for the construction of a certain highway over another highway, it seemed more politicising an issue that is technical in nature. It was seen to be similar in the way we see 1MDB being treated. So there must be the What, When, Who, Where, Why and How of the allegation to be fulfilled, before anyone can criticise or accuse with surety and confidence. Somehow this new issue of Transport Masterplan of Penang is interesting and something worthy to ponder over. The development concept is not something new. It is quite the norm for construction of transportion infrastructure be tied together with development. Most of the time there is a cross-subsidy arrangement. Wonder why EPU never insist it be done in Malaysia in the past. However, the fact that it is raised by a blogger known to be closely associated with opposition or namely a PKR figure and not any pro-Federal government made us took notice. Looming war over South China Sea? While everyone was victoriously celebrating the end of Ramadhan, Foreign Minister Dato Anifah Aman must be the most nervous person in the country. He seemed to be enjoying himself engaging in small talks and diplomatically entertaining the visitors at the cabinet open house on the first day of Raya and few days later, back in his kawasan in Kimanis, but his mind was elsewhere. 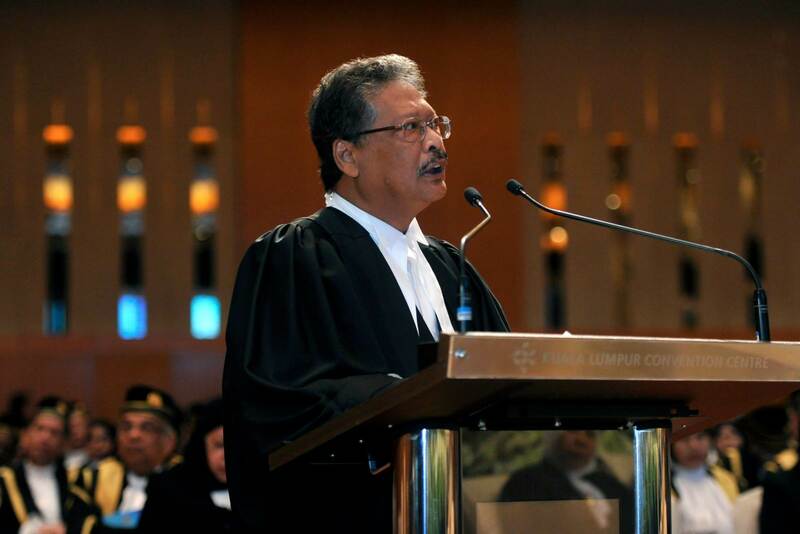 Anifah is nervous of the outcome of the tribunal convened by the International Permanent Court of Arbitration (PCA) in the Hague as initiated by the Philippines against China on Jan 22, 2013. 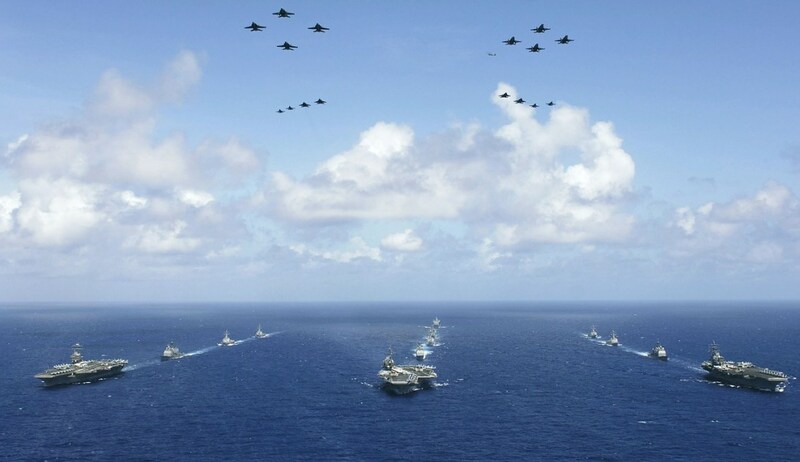 It followed the tense standoff between the naval vessels of the two countries at Scarborough shoal in 2012. Vietnam has dispute with China over the Paracel island. The ruling favoured the Philippines but either way, the outcome of PCA will not offer an immediate solution to the territorial dispute on the South China Sea claimed by China, Philippines, Vietnam and Brunei. It could heightened tension within the region. There is a basic legal principle that the accused is innocent until proven guilty. It means it is up to the accuser to prove the guilt of the accused. In fancy legal jargon, it is called burden of proof. In court, the accuser, usually the prosecutor, have to substantiate their allegations with proof. They have to establish a prima facie for the court to direct the accused to defend him or herself. The accused only need to raise reasonable doubt to be acquitted and off free. Failing to do so will lead to a guilty sentence. This principle should be applied in a court of public opinion. The allegation on Dato Najib in relation to 1MDB need to be substantiated with proof by the accuser, inclusive of Tun Dr Mahathir. Thus far, he has not live up to the burden of proof. 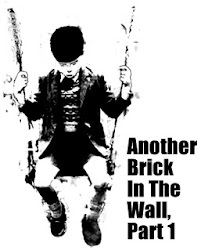 Instead Tun M, paka-Tun (no more pro-Tun because they are now opposition), opposition and alliance of foreign media are shifting the onus of proof on the accused Najib or third parties like Attorney General, Police, MACC, BNM, and foreign investigators. One reason why the anti-Najib Campaign (ANC) failed is because they tried to dupe the public with propaganda based on spinning of news, manipulation of facts, and outright lies. Another problem attached with this cheap, shallow and SPM drop-out reporter style of propaganda headline and soundbyte is that they repeatedly fail to tally and ignore facts and logical reasoning. They have no shame. 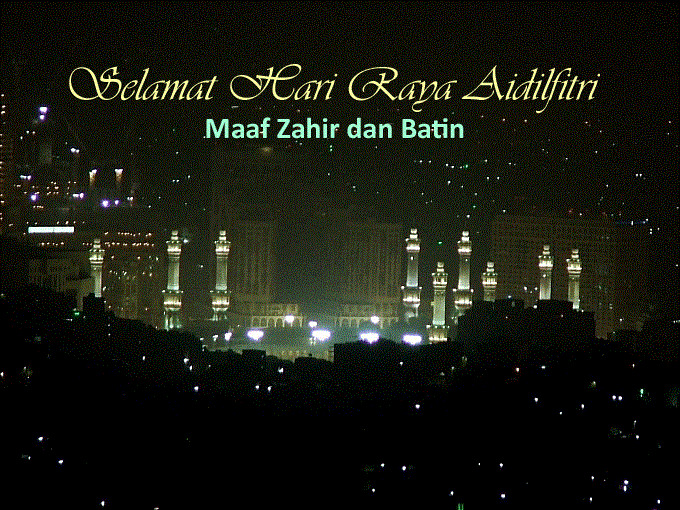 Tak habis-habis menipu. They kept changing figures and money flow charts on the "lesap" 1MDB money. From day one, none of the ANC army of slanderers, particularly Sarawak Report, could outrightly proof the allegation Good Star was Jho Loh's company used to divert money. Outsyed The Box went to the extent of claiming Malaysia will be bankrupt TODAY! Surprise that the former banker does not understand what is arbitration and think 1MDB is dunggu to disburse money without proper documentation. The opposition and echoed by ANC came up with a birdbrain allegation like GST was imposed on rakyat to cover for 1MDB losses. They will be in for a surprise on this. 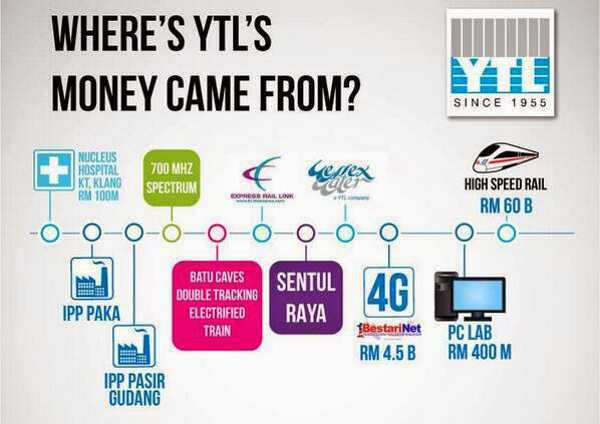 Thanks to crony capitalism, YTL grew to be a giant from a series of direct nego contracts. It all started with the fast track IPP contract in Pasir Gudang and Paka, Terengganu. 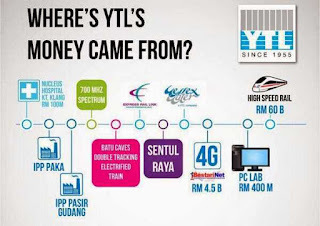 Though there was issue with the ranting by the late Tan Sri Ani Arope, it cannot be disputed that YTL made easy of money of more than RM1.5 billion revenue per year. The 21 year old PPA was signed on March 21st, 1994. It has expired in September 2015. [Read MMO here]. In early October last year, YTL Power won a bid for the extension on the existing power plants to cover for expected power shortage due to delayed new IPP projects [read Sun here]. Howewer, the land lease too needs renewal from TNB. They decided enough is enough with this free ride nonsense that came at the expense of the rakyat. To all those traveling during this festive season, take a bit more caution than usual. 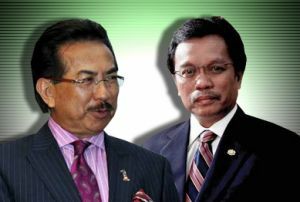 PETALING JAYA: Suspended Umno Vice-President Mohd Shafie Apdal has quit Umno. The former federal minister made this announcement – which was broadcast live on Facebook – in his constituency in Semporna, Sabah, after returning from performing umrah in Mecca. In a 90-minute speech, Shafie spoke about Umno’s decision to suspend him last month for allegedly collaborating with the Opposition and questioned why he was not called to defend himself. He also stressed that he had never worked with the Opposition. That last line is laughable. This is not about Lim Guan Eng's case. 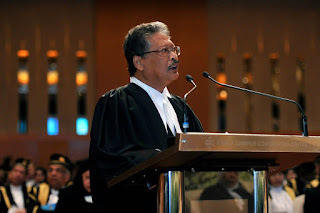 He and Kit Siang can do all the roadshow and propaganda but his fate is sealed when Federal Court Judge turned Attorney General, Tan Sri Apandi that took up the case. As one lawyer friend said, no AG would take up a case unless it is a sure thing. More so for a Federal Court judge. 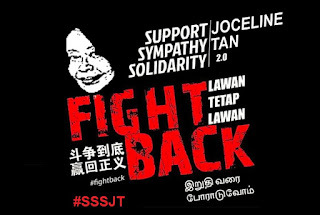 Joceline Tan is right to say DAP is in a critical situation. Guan Eng attempt to rile the public will fail as the facts are rolled out in court. So this posting is about Bar Council or The Bar. At an AGM. they passed a motion to call for his resignation. It was to DAP lawyer, RSN Rayer a contravention of the Legal Profession Act 1976 (LPA). It is also seditious and challenging Agong's prerogative to appoint the AG. A legal association rejected the Bar's interference into the institutional affairs of the AG. On May 1st, 2015, there was an UMNO solidarity gathering held in Lahad Datu organised by UMNO Lahad Datu and Kalabakaan to receive Prime Minister, Dato Seri Najib Tun Abdul Razak's visit in the heat of attack by Tun Dr Mahathir. 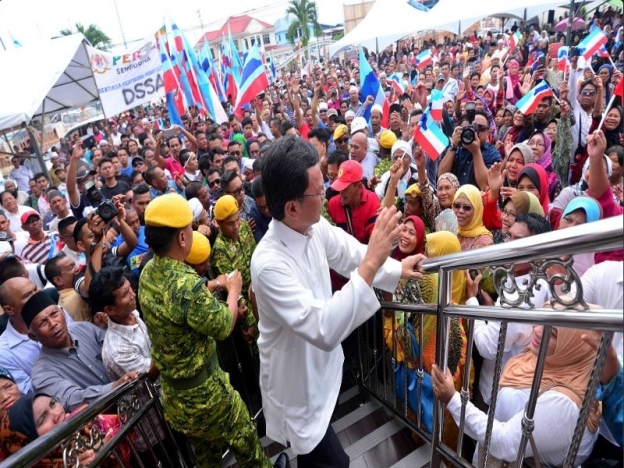 The whole Lahad Datu town was packed to the brim with 40,000 attended including members from UMNO Zone 6 area of Lahad Datu, Kalabakaan, Silam and Semporna. The remarkable number present was provided by Dato Ghafur Salleh. It indicated a rock solid support for Najib. Interestingly, someone claiming to be within Tun M's inner circle was there to witness the support. 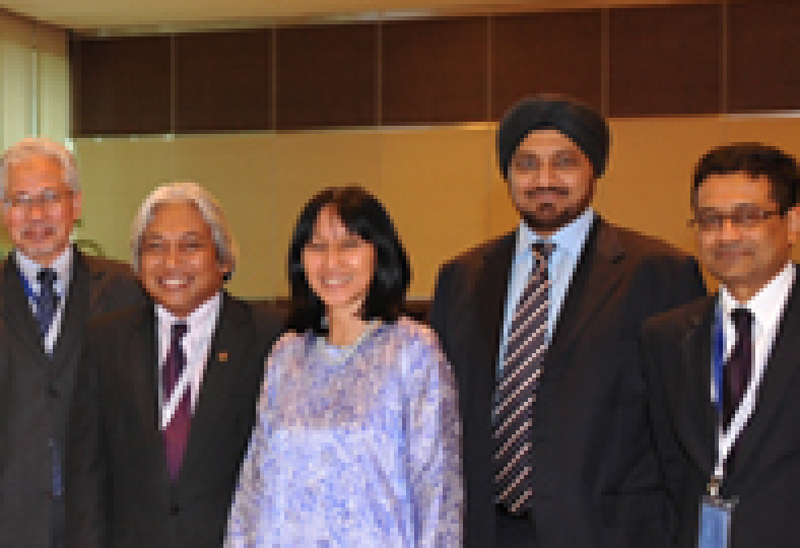 He was secretly meeting various people to gather fact and information to form pact against Najib. The contacts may have been made during the Suluk incursion on a Felda plantation there. One can assume he was looking for dissenting voices against Najib as it is heard someone tried to create a group but it didn't take off. 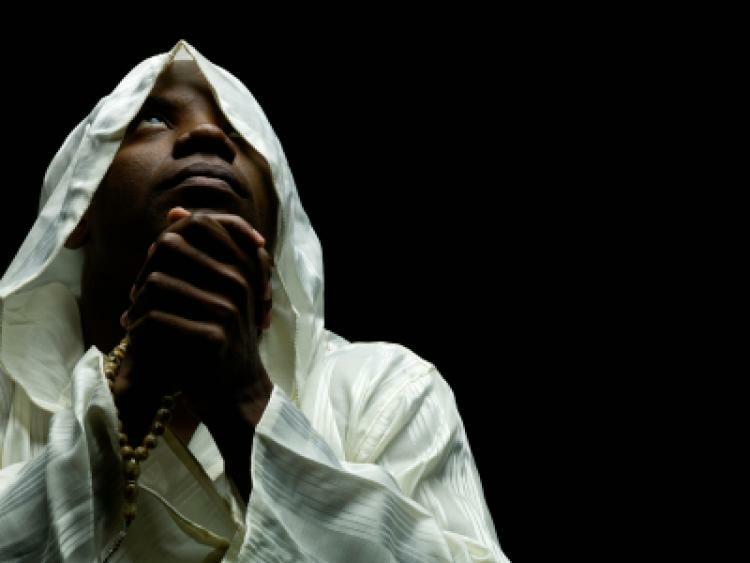 The “Night of Power” is a chance for Muslims to remember the night the Quran was first revealed to the Prophet Muhammad. 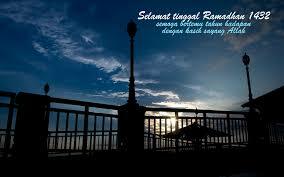 What Is Laylat Al Qadr? Laylat Al Qadr is considered the holiest night of the year for Muslims, and is traditionally celebrated on the 27th day of Ramadan. It is known as the “Night of Power,” and commemorates the night that the Quran was first revealed to the Prophet Muhammad, beginning with the exhortation, “Read! 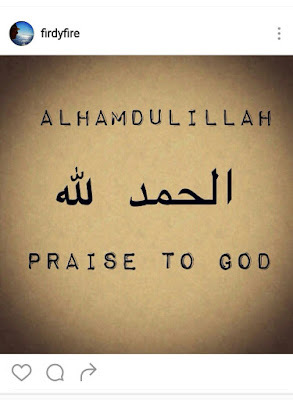 In the Name of your Lord, Who has created (all that exists),” in Surat Al-Alaq (Muhsin Khan translation).